A master-planning effort for the 2-acre parcel produced a scheme for nine new homes, using low impact development techniques to create a layout with a rain-garden as a focal point. 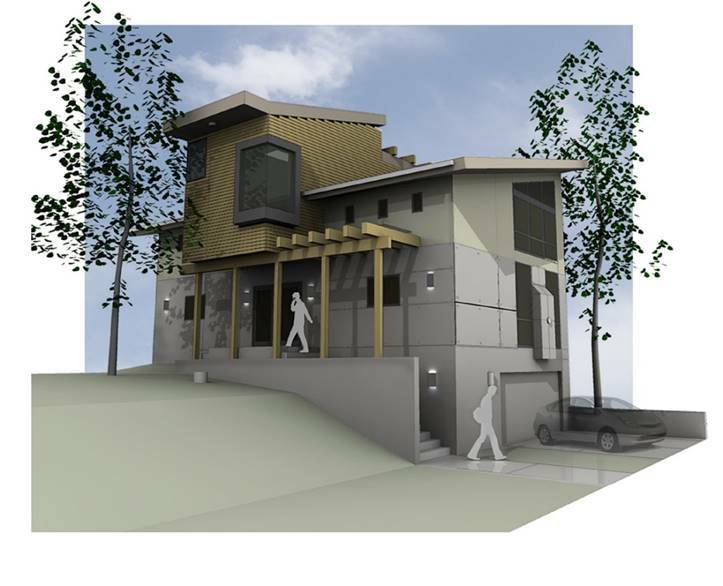 The homes are designed as variations of three modern prototypes, each conceived to maximize passive solar gain and views. A walking path connects the central garden to the forest below, which will be held in common as a perpetual green belt.